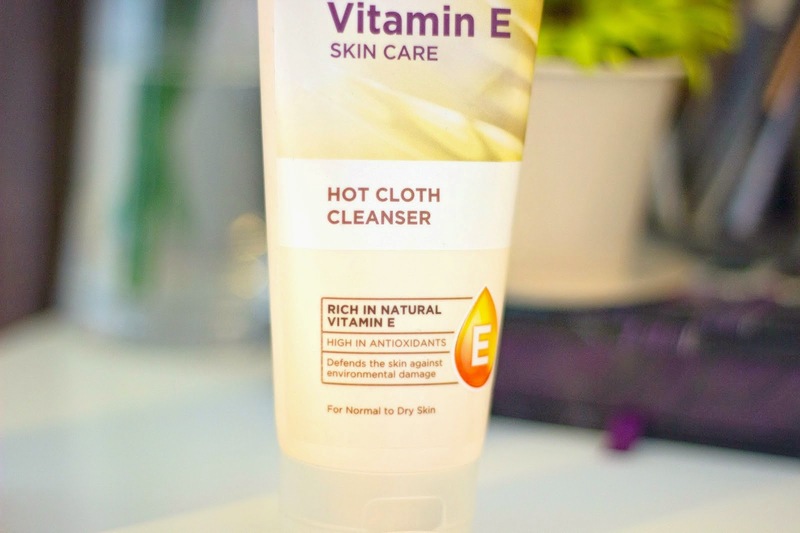 I am somehow late on this whole Hot Cloth Cleanser shenanigans which has been making its round on the blogger and beauty world and the Liz Earle Hot Cloth Cleanser has been quite popular here in the UK. Superdrug released their own version sometime last year (I think) and I only decided to try it last month even though I had spied it on a few occasions. The packaging is pretty basic but quite colorful and attractive I would say given the cost. Inside you would find the product itself and a muslin cloth and you get 200 ml worth of product. There is not much to the packaging really but its good to know what the tube looks quite solid and the flip lid is really good and easy to handle. 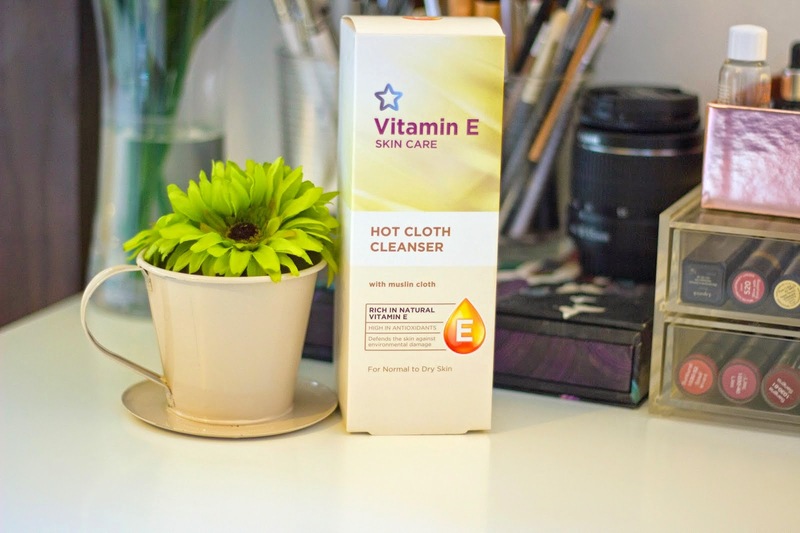 From the name, you can deduce that its main ingredient is Vitamin E which is very good for the skin and aids in cell renewal in addition to a host of other skin benefits. 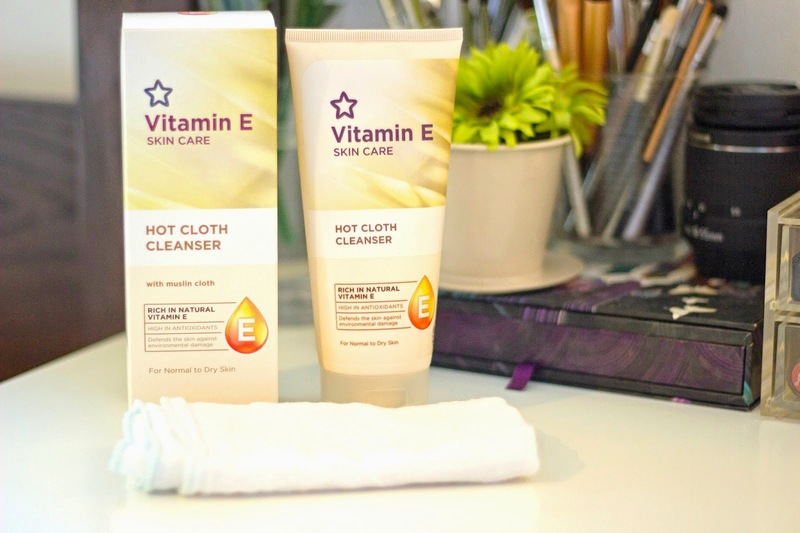 Superdrug says that the Vitamin E Hot Cloth Cleanser is enriched with naturally sourced Vitamin E is a powerful antioxidant that protects the skin from against the harmful free radicals in the environment. In addition, it also contains Vitamins A, B, H, F combined with Horse Chestnut Extract which all have skin benefits especially around protection and cell renewal. It is easy to deduce that it is a cleanser which can remove dirt and makeup from your skin while providing a gentle exfoliation. It has a white creamy consistency which feels very good when it hits the skin; it kind of reminds me of Pond's Cold Cream. I use this straight after using my makeup wipes or micellar water and cotton pad. 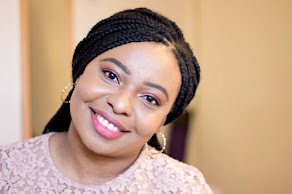 I do this first step because I hate the idea of swishing around makeup on my face without removing the greasy bit first (gross sounding I am aware!). After the wipes, my face is considerably damp and I apply a dollop of this cleanser on my face and massage it in circular motions. I let it sit for a few minutes and let some hand-hot water run on on the muslin cloth. I wring the muslin cloth of excess water and use it to remove the cleanser which comes off really easily. It just melts away in the most pleasant and seamless way. I splash my face with some cold water to close the pores and that's it sorted. It retails for about £4.99 in Superdrug but I spied it on offer for about £3 or less recently after I had purchased this already. I had £2 on my Superdrug Beauty Card (find out how these beauty cards work here) so I used it as a part payment for this and I think I only paid about £3 for this eventually which is a good bargain for the quality of product you get. 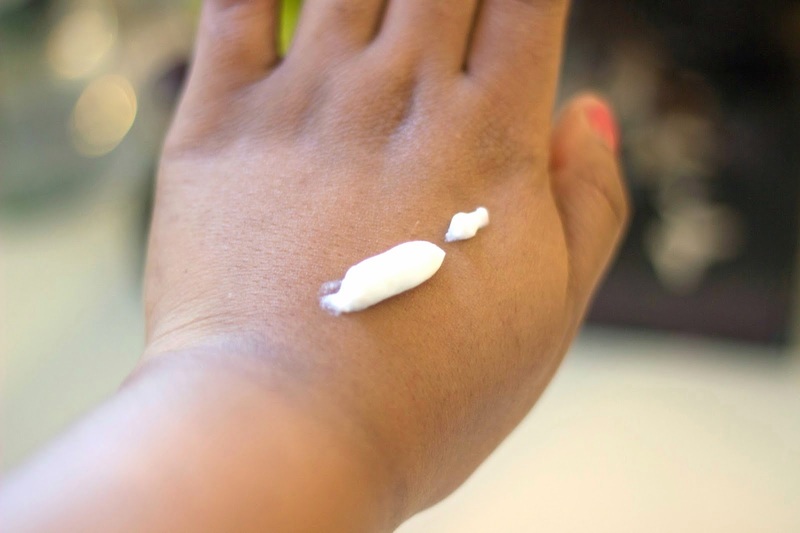 I even had the eye cream in my today's post on the blog.